Get ConnectED to the right statewide resources your business needs to successfully operate or expand operations in Wisconsin. ConnectED introduces businesses to the resources they need to succeed. Think of it as a one-stop-shop for the support you need to launch, improve, or expand your business in Wisconsin. Great Lakes Asset Corporation (GLAC) operates as a private, not-for-profit organization that works with the U.S. Small Business Administration (SBA) and local banks to provide SBA 504 Loans to small businesses throughout Wisconsin. Impact Seven is a community development corporation (CDC) that offers a variety of loans and venture capital for growing Wisconsin businesses through its four major financing programs. The Innovation Foundation is dedicated to advancing new and existing business ventures by providing guidance, mentoring and other resources vital to high-growth product opportunities. IFWW works with innovators, entrepreneurs and businesses to help develop business and product ideas into success stories. By assessing gaps and bringing critical human capital to the project, IFWW seeks to increase the number of vibrant business ventures tied to innovative products. To provide an increased opportunity for minority firms to sell their products and services to the State of Wisconsin, Minority Business Enterprise laws establish a 5 percent procurement goal for state agencies and UW campuses, and a 5 percent price preference for certified minority business enterprise firms pursuing state contracts. 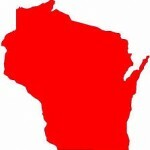 To qualify, firms must be certified by the State of Wisconsin Department of Administration (DOA) as a minority business. SCORE is a nonprofit association dedicated to helping small businesses get off the ground, grow and achieve their goals through education and mentorship. Its 340+ local chapters across the U.S. hold events and workshops throughout the year, and match up entrepreneurs with local mentors. Since its founding on July 30, 1953, the U.S. Small Business Administration (SBA) has delivered millions of loans, loan guarantees, contracts, counseling sessions and other forms of assistance to small businesses. The Wisconsin district SBA has developed many small business loan and assistance programs, special outreach efforts and initiatives to aid and inform small businesses. 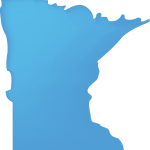 NWMOC provides business assistance and management expertise to small and midsize manufacturing enterprises in 33 counties in northern and western Wisconsin. 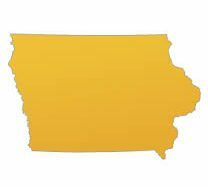 The Wisconsin Business AnswerLine provides free information to small business owners and their staff in the state of Wisconsin on a wide variety of business topics. AnswerLine staff has access to an extensive document library, phone and web resources, and often field calls about starting a business, business planning, permits and licensing, insurance, legal entity types and business financing topics. These resources can also be emailed to the caller to answer their questions quickly and efficiently. Wisconsin Business Development (WBD) helps business owners find solutions and strategies to help their small businesses grow by providing access to the SBA 504 Loan. The organization also provides consulting and loan packaging services to banks and borrowers, which provides small businesses greater access to working capital and restructuring solutions. The Wisconsin Department of Natural Resources (WDNR) provides many avenues for business owners to work with the agency in growing and sustaining Wisconsin’s economy. The Office of Business Support and Sustainability is the agency’s one-stop shop for business assistance, working across programs and providing sector-focused resources to create a business climate that yields better environmental and economic performance. WHEDA offers a number of programs and services in support of business development within the State of Wisconsin. WMEP is a private, non-profit organization committed to the growth and success of Wisconsin manufacturers. Providing expert and accessible services in the areas of growth and innovation, continuous improvement, training, export assistance, supply chain management and profitable sustainability, WMEP has helped to generate more than $1 billion in economic impact. The State of Wisconsin provides woman-owned businesses with a credible certification that validates their business ownership, allowing them to be identified as such while participating in local, state and federal government procurement opportunities.